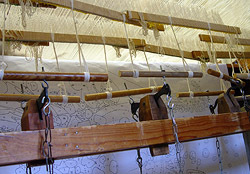 The warp is assembled on a horizontal loom. 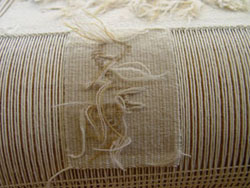 It constitutes the structure of the future tapestry. 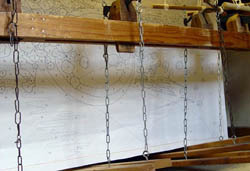 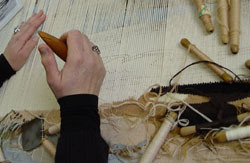 A painted or numbered cartoon is placed under the warp threads. 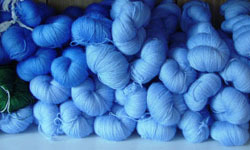 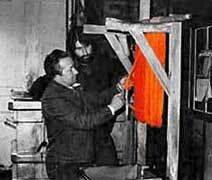 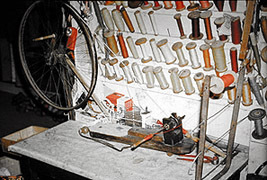 The wools that are dyed in the colours of the cartoon are wound around bobbins. 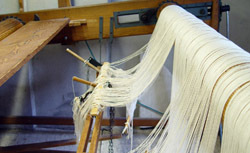 While weaving, the lissier separates the even threads from the odd ones with the treadles located underneath the loom, and uses the bobbins to shape the weft according to the patterns and colours of the cartoon. 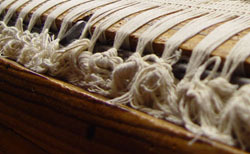 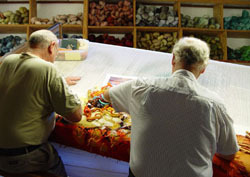 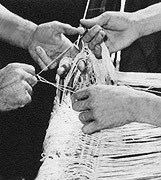 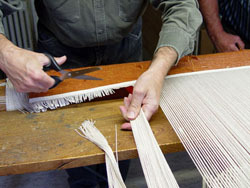 The length of the weaving process depends on the structure and complexity of the artist's work.